The next time you’re running out of ideas for your space, look to Instagram and its closeted interior designers. We browsed Instagram hashtags like #smallspacesquad and #smallspaceliving and learnt these clever tricks for your apartment or condominium. Small doesn’t mean simple, and simple doesn’t mean boring. 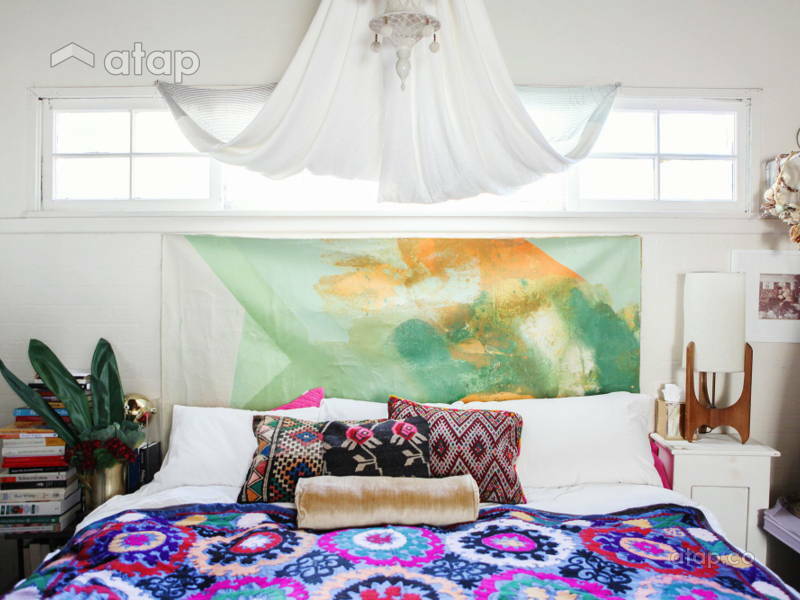 Use a patterned piece like a rug, bed sheet, or even a wall while keeping a minimalistic interior. It perks up the whole room! There’s just something about having a living, breathing plant in the home – it makes it seem friendlier and almost…happier. If you don’t want to invest in a purely decorative piece that might go out of fashion, then get a plant. It’s timeless and some plants even clear the air. Worried about space? Then have them hang from the ceiling or tuck them into an unused corner. Seriously, they work in every room. Keeping with the organic theme of plants, wood, rattan, and bamboo seem to be a popular choice for smaller spaces. While larger spaces might cater to the luxe modern look better, smaller spaces exude a quaint charm that can be emphasised by natural materials. Salvaged wood are cheap, environmentally friendly, and perfectly rustic! If you find yourself lacking floor or table surface, then turn to your walls. Wall shelves make for good storage and display. You can also try hooks for bags, scarves, caps, and coats in place of a closet or coat rack. Use your walls as décor too! One framed image is art, while an entire wall is a masterpiece. When shopping for furniture, try not to look at items belonging to a category. Instead, if you see a seat that makes a good table, or even a table that makes a good seat, then use it as such – the rules are imaginary. The best part of a seat-table is that you can use them interchangeably! Clear its surface for extra seating when you have guests over. If a single stool isn’t big enough, then put 2 together for a bigger “table” surface.